Federal funding cuts mean decreased budgets for public housing organizations. 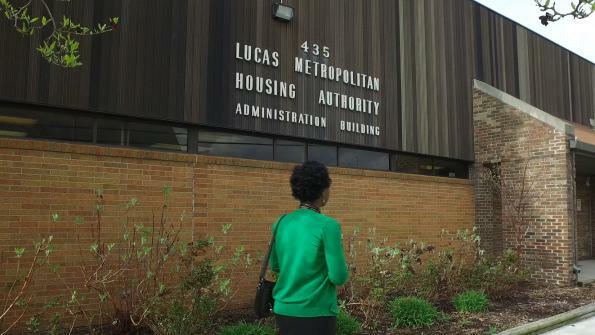 These cuts have forced agencies like the Lucas Metropolitan Housing Authority (LMHA) in Toledo, Ohio, to find creative ways to serve their clients. One way the authority has explored is offering mobility options to enable staff to work more effectively out in the community. Moving IT operations out of their on-premises datacenter and into the cloud has provided several benefits. With its hardware infrastructure aging, LMHA knew a shift to the cloud promised the ability to reduce costs, simplify operations and improve service to its residents. Via the cloud, the agency can mobilize employees and ensure IT operations remained secure and in compliance with mandated federal regulations. With the new system, LMHA staffers are leveraging the cloud environment. Now, their mobile devices can work virtually anywhere. Their secure mobile equipment is device-agnostic to benefit both employees and clients. That means staff can take their office to the field since they no longer need to complete hard-copy paperwork. This system feature has a tangible impact for employees; it helps them work more efficiently. It also aids LMHA residents who now receive services faster and more simply. Clients can now access apps and data around the clock from the devices that they are familiar with. Residents no longer have to visit an LMHA office. This has helped to break down barriers that had previously kept many would-be clients who are elderly and disabled from receiving services. As it went forward with the shift to the cloud, LMHA selected the Citrix Cloud solution built using the Microsoft Azure Government platform. The new setup enables employees to reach the people they serve with mobile devices and accompanying mobile office offerings. The system was installed in November 2015.